December 5, Fineko/abc.az. Bakcell, the First Mobile Operator and the Fastest Mobile Internet Provider of Azerbaijan acquaints the visitors of the 24th Azerbaijan International Telecommunications, Innovations and High Technologies Exhibition and Conference “Bakutel 2018”, which has started in Baku, with the latest technologies, convenient and modern products and services as well as the company’s latest achievements. 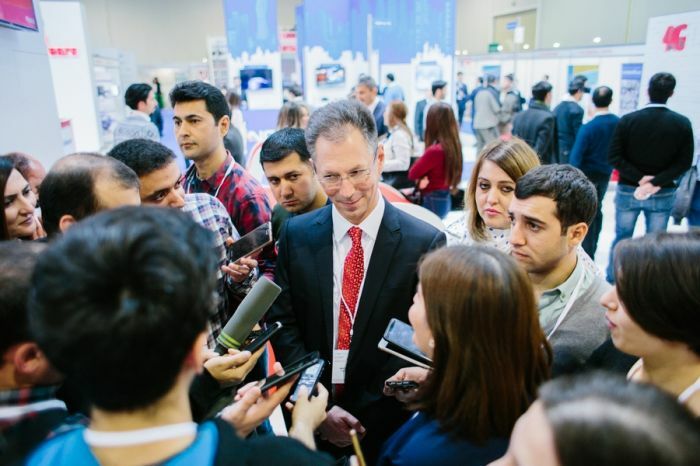 At the media briefing held on the first day of the exhibition, Bakcell CEO Nikolai Beckers has talked about the technologies and digital projects demonstrated by the company at “Bakutel 2018”: “This year, the visitors of our stand for the first time in Azerbaijan will be able to feel the mobile internet speed of 600 Mbps, provided by means of the 4.5G technology, also called the “5G readiness”. We will also inform our guests about the most successful projects and initiatives of Bakcell. In the year 2018 we will continue our works, aimed at continuing expansion of the country’s fastest 4G network in the country’s regions. Bakcell is planning to cover 95% of the population of Azerbaijan with 4G network by the end of the next year”. Test the “Fastest Mobile Network in Azerbaijan” and win prizes! The guests of Bakcell stand at BakuTel-2018 have a unique opportunity to witness a demonstration of network, which was tested by the word-famous OOKLA Company and named the Fastest Mobile Network in Azerbaijan. Visitors will also be able to test their strength by throwing a tennis ball in a special turbine, and enter the top ten players ranking based on the speed of their throw. The leaders will be able to get free Internet from Bakcell and benefit from superiority of Bakcell’s 4G internet. 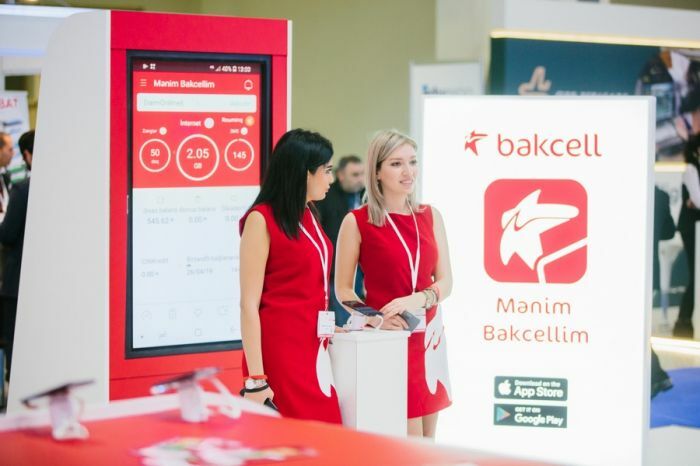 The exhibition visitors will be able to get acquainted with the newly launched My Bakcell application of Bakcell and contact the customer service “live” to ask questions, test the application and find out about its interesting and unique functions. Moreover, by downloading My Bakcell app from Google Play Store or AppStore, the guests will get a chance to participate in the special lottery and win exciting valuable prizes. At the AppLab corner, Bakcell stand will also feature 2 new projects –“Run2Help” and “bilik.az” , created by young Azerbaijani developers within the frames of the company’s AppLab incubation project. This program serves the purpose of helping young local specialists in realizing their ideas, mobile apps and technologies during the whole process of development, from pilot version to a ready product. This year, at the “Wi-Fi at your home” corner of Bakcell stand, the visitors will be able to witness the benefits of newly presented Wi-Fi device of Bakcell, use the fastest in the country 4G internet and play football in “Virtual Reality. Play with Ulduzum and win prizes! Bakcell guests at BakuTel-2018 will not leave without a great deal of entertainment and gifts. They will be invited to take part in an interesting game from Bakcell Ulduzum loyalty program, where the main idea is finding a way out of a maze to win prizes from partners of Ulduzum. Bakcell invites all visitors and participants of “BakuTel-2018” to the company’s stand to acquire unforgettable impressions, using the cutting-edge technologies in a friendly and entertaining atmosphere. 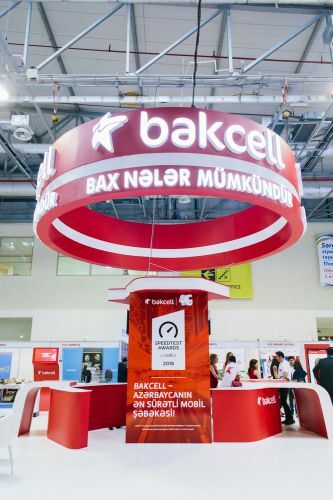 Nikolai Beckers has also stated that along with demonstrating innovations and technologies at this year’s Bakutel exhibition, Bakcell also supports the small and medium entrepreneurs. Thus, Bakcell is also present at the other exhibition stand, which is organized together with the Agency for Development of Small and Medium-Sized Enterprises. Bakcell supports the participation of startups and businesses at “Bakutel 2018” within the frames of “Support to Small and Medium-sized” enterprises program, conducted aiming to support the development of small and medium entrepreneurship in the country.